Talk Enterprise works with Business & Education organising events, managing projects, creating and delivering workshops all connected to people development. Our student programmes are designed to help young people be happier healthier and successful in their school, personal and working life. A mixture of topics that you can choose to develop a personalised development programme for students covering things such as courageous conversations, packaging and developing yourself, being assertive, Leadership qualities, dealing with difficult situations/people. Removing the cloak of invisibility and helping students create simple formulas helping the students to delivery clear, straightforward, enjoyable presentations. Understanding ourselves and our emotions. Suitable for all year groups. We have many topics you can choice from. To help students feel comfortable with change, e.g. Moving to High school, Integrating students into mainstream education. Focusing on things such as personal responsibility, empathy, motivation, persistence. “Design a hat” or ”Product called positivity”: both of these days are fun and students work within teams. We focus on certain Key Skills throughout the day, the students will recognise and know them all by the end of the day. The perfect programme to match writing a CV. "Employability day" focusing on CVs, interviews, key skills employers are looking for, first impressions and as always an Enterprise activity. We are very keen for students to develop and identify their own skills, event planning is an excellent way to recognise and develop key skills and is a great experience as well as perfect for putting on a CV. This is a 6-week course delivered within or after school focusing on certain subject areas to enable students to plan organise and put on an event within the school. All of the programmes are flexible and adaptable to suit specific needs and are packaged to deliver hourly Buzz sessions half day / full day programmes. Schools and organisations can book a time to see how we can work with them via our website. We work with businesses to help create a great working environment, giving people the tools to use to help them deal with everyday challenges we can all face. We design programmes to fit specific needs and requirements, inspiring people to become confident, motivated and enterprising and to understand how much more we are we all capable of achieving. Always great days to boost morale and increase self-confidence within ourselves and our teams. We work with businesses who want to do more with schools, colleges & young people. Preparing a workshop linking with Curriculum or to raise awareness of your industry sector. It’s important when invited to attend a careers fair that organisations are approachable for young people. 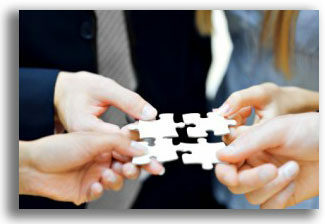 We will help develop fun interactive activities linking to business or sector. Helping to get the best from young people. For organisations taking on work experience students or a new apprentice, we will create a development plan that will work for both the organisation and the young person. To find out more about the services we offer, use the links provided to our website, and follow us here on icanbea for the latest news and updates.